I first met the Outhwaite family at Splash of Red. Splash of Red is the amazing fundraiser that my husband and I have been involved with for the past four years. It’s the Caetani Centre’s main fundraising event each August that helps raise awareness for the Centre and all it does for the arts community in the Okanagan. 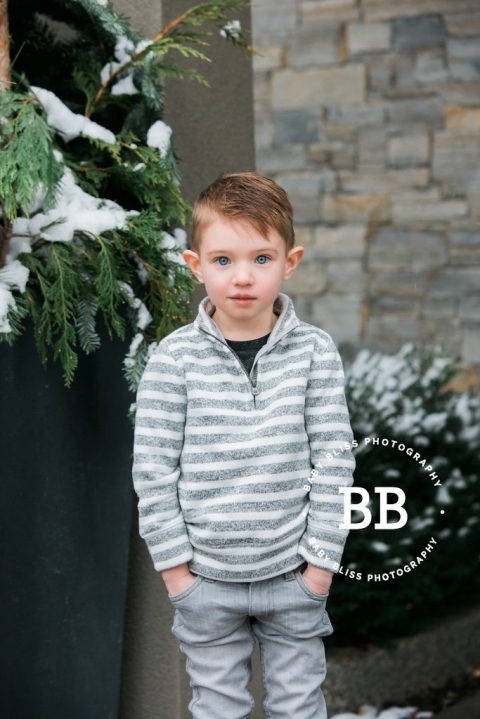 I also have my Baby Bliss Photography studio (where I photograph all my newborn portraits) at the Caetani Centre so it has always been a natural fit to help raise funds for their vision. 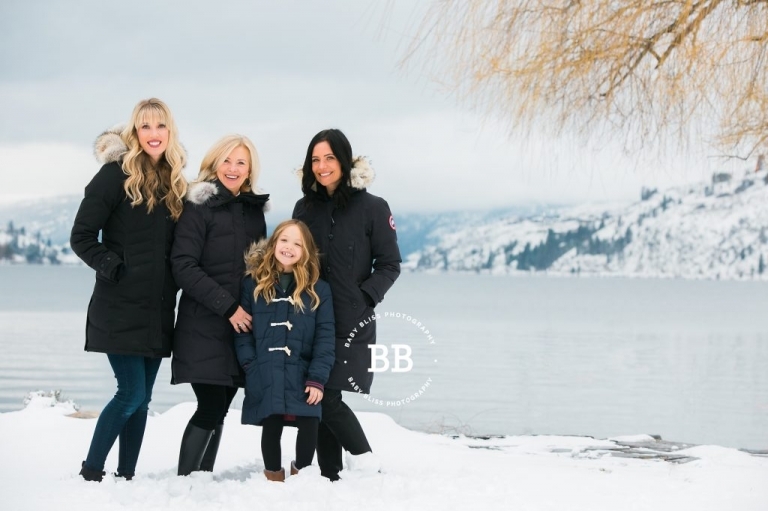 The Outhwaites have a beautiful home on stunning Kalmalka Lake, so when we chatted about where we should create their family portraits, their home, and it’s views of the Lake were a natural fit. 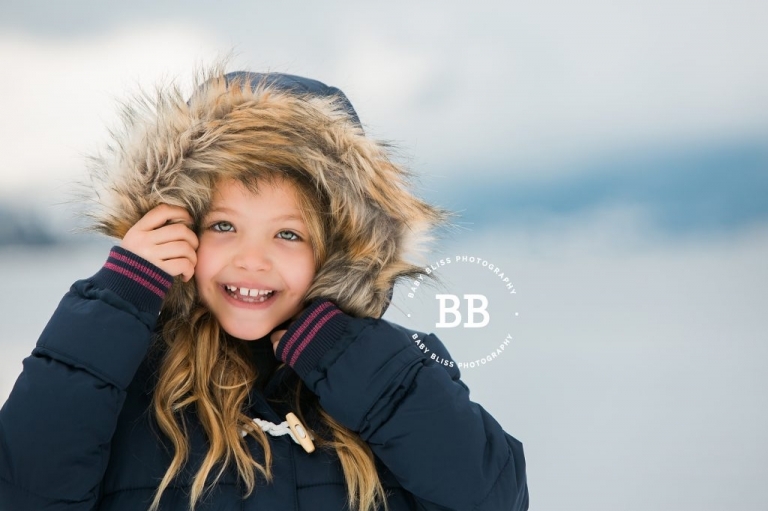 As we had just had a beautiful snow fall (the first real one of the season-we had had a green Christmas) the house, was also a great location for the children to warm up in between sets ups. I can’t stress enough how gorgeous everyone in this family is! I felt like I was photographing a GAP commercial. They are going to have a really hard time choosing their final gallery of images because every one is so stunningly perfect! 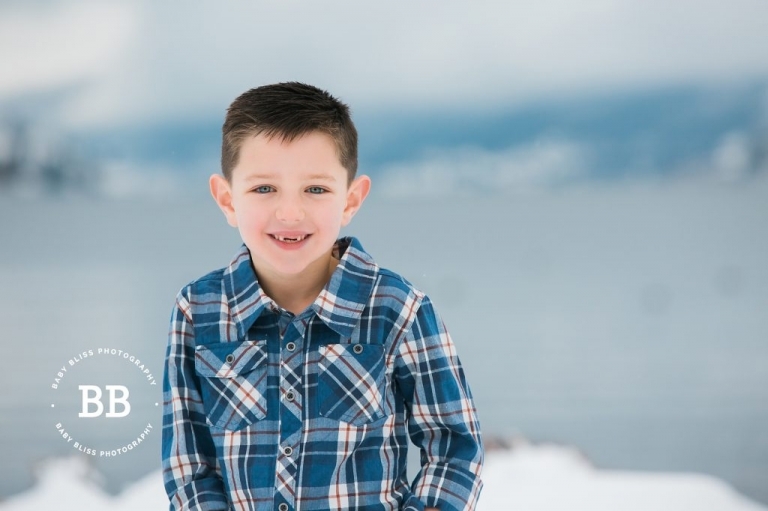 I love how bright and snowy winter portraits are but I hope to see you all again for a much more summery portrait session….I know the kids will enjoy it much more 😉 From these portraits, you would never know they were cold. Well done kiddos!!! !